Arnold Classic 212 Prejudging Photos Now Posted! 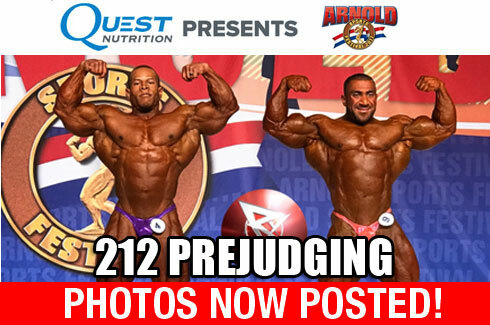 212 Prejudging Photos Now Posted! Arnold Classic WPD Prejudging Photos Now Posted! 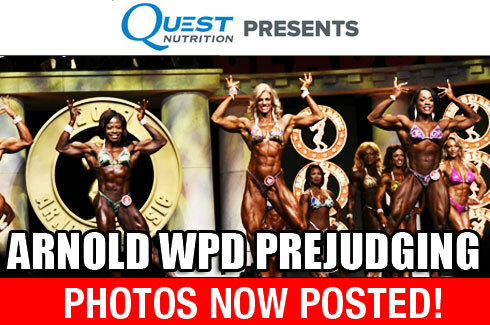 WPD Prejudging Photos Now Posted! 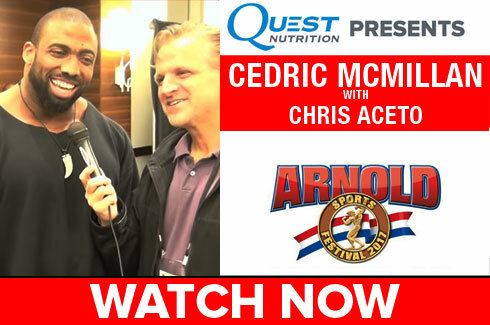 Cedric McMillan, the odds-on favorite for many to win the 2017 Arnold Classic, speaks to RXMuscle's Chris Aceto at the 'Meet the Pros' event. 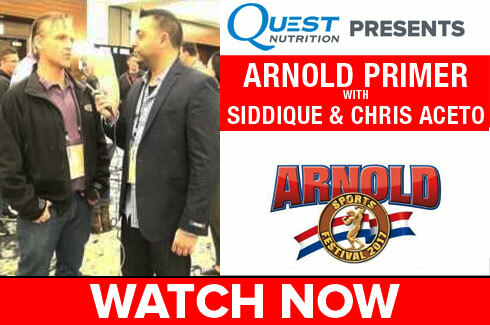 Chris Aceto & Siddique Farooqi set the scene for the Arnold Classic at the 'Meet the Pros' event. Who does Dave have shaking Arnold's hand when all is said and done at the 2017 Arnold Classic? Canadian 212 sensation Zane Watson (Winner, 2015 Toronto Pro Supershow) will take the stage this weekend at the Arnold Classic, but first he stops by to chat with Dave Palumbo on RXMuscle's Road to the Arnold Classic (powered by Quest Nutrition). Vitaly Fateev will be stepping onto the Arnold Classic stage next week in Columbus, Ohio - but first he joins us on RXMuscle's Road to the Arnold (powered by Quest Nutrition). RXMuscle is your home for wall-to-wall coverage of the 2017 Arnold Classic.